Church of Singapore (Marine Parade) is a welcome rarity in Singapore’s crowded church scene: It’s that rare assembly where the dialect congregation is its largest congregation. 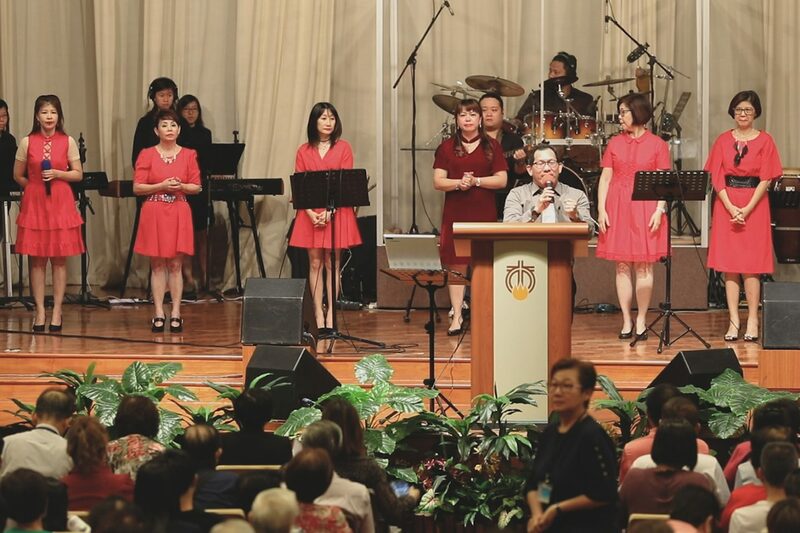 The 55-year-old church has had a Hokkien service since 1989, but for the first decade of its existence saw the size of the service hover at “no more than 200”, says Elder Peter Phua, who oversees the Hokkien Ministry. The service now sees more than a thousand worshippers in total at its Friday and weekend services. The service started to take off in 2000 when Elder Phua went full-time. Now 66, the former mechanical engineer says the key to the turnaround was a change in mindset – that dialect services cannot be thought of as a “sunset” or “second-class” ministry. 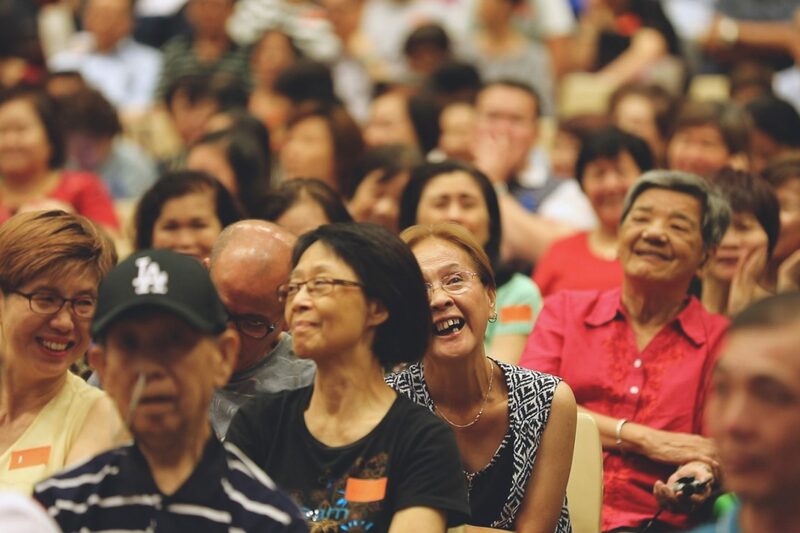 Salt&Light spoke to Elder Phua and fellow Elder Daniel Foo – who has been serving full-time for 30 years and now heads the church’s 200-strong Cantonese ministry – about what it takes to build a successful dialect church. 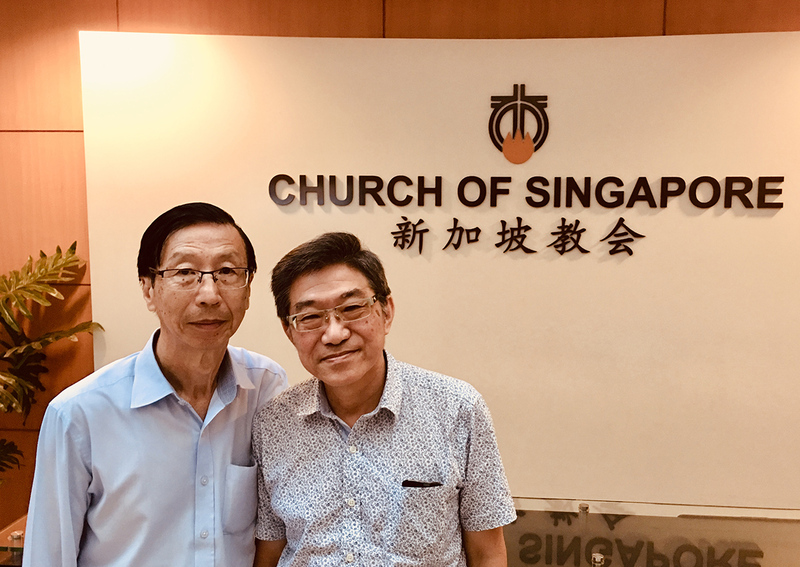 Elders Peter Phua (left) and Daniel Foo, who head the Hokkien and Cantonese ministries at Church of Singapore (Marine Parade). Salt&Light: How did the dialect services at Church of Singapore (Marine Parade) come to be the largest in the church? We had the full support from the Elders’ Board, to our staff, to our team, to our 200-plus lay leaders, to individual church members. You need them to bring in people! How did we get their support? We had to share the vision with the Board – what we heard from God. Some things take time to convince others. For example, in the past, we never had our own Hokkien Bible camp. We used to just tag on to camps for the English, Chinese or bilingual services. If you understand the language, then good for you. But, of course, eventually some people will leave. So we insisted on having our own Hokkien and Cantonese church camp. It’s very different! The songs you sing, the topics you speak about. The Church Council agreed to supporting dialect-specific staff and camps. “As long as you can justify it, we will back you,” was their promise. When it comes to our church annual budget, we don’t divide our balance sheet based on the size of our congregations or tithes. You can’t say, based on how much is brought in, then you can spend so much. That’s not fair, because many in the dialect services are retirees or from the lower-income group. So the Board or Senior Pastor must be convicted to invest in these services. Our English congregation all know about these services. They’re happy to bring people into the dialect services. They know we can help with evangelising to, and caring for, their loved ones. They’re very clear about our mission and vision. Elder Daniel Foo (Head, Cantonese ministry): We definitely needed the Elder’s Board to support us. For example, we’ve started a second Cantonese service on Sunday, 1.30pm, which now has 80 people. Because we realised 8.30am was too early for those in Chinatown to get here. We got the support we needed from the Board. 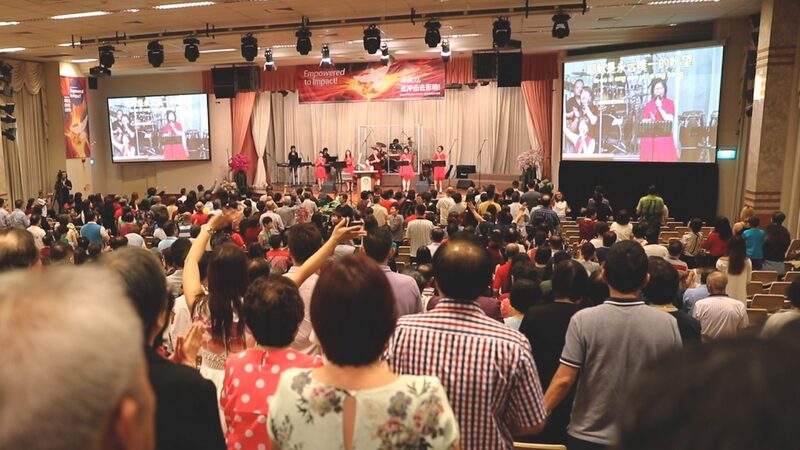 The COS Hokkien Ministry now sees more than a thousand worshippers in total at its Friday and weekend services. How do you make your service relevant to your members? Elder Phua: The timing of the service is important. Many churches give their dialect services bad time slots. “Prime time” is given to the English services, or youth. But in Church of Singapore (Marine Parade), the Hokkien service has the best time slot: 10.30am! Many churches give their dialect services bad time slots. But in Church of Singapore (Marine Parade), the Hokkien service has “prime time”. And from there, you just keep proving yourself! 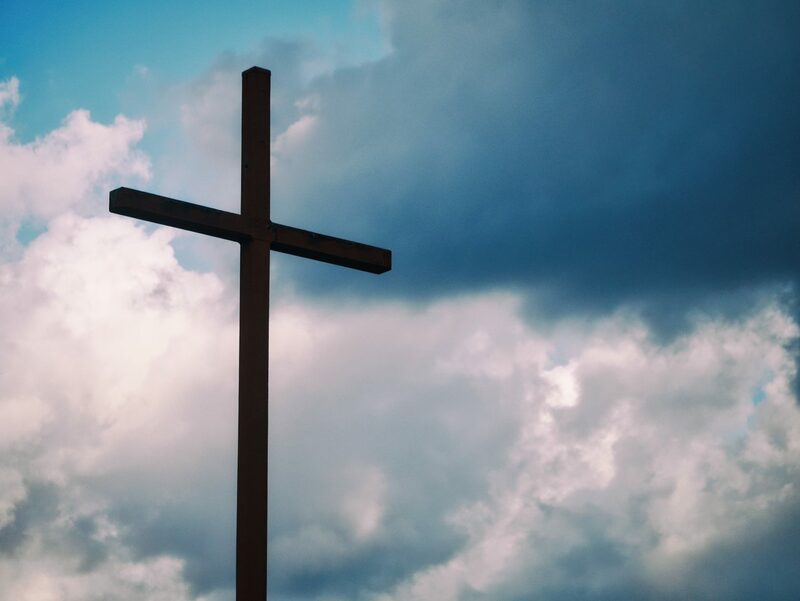 As you keep working hard, and they start seeing the number of new converts, and the growing congregation size, their support will get stronger. Your service has to be relevant to those who come. The worship, the sermon. Every Sunday for the past 18, 20 years, we have a weekly testimony at the service. It’s very moving, and shows the goodness of God. So the service is important – when they come, people must find it very warm and welcoming. And they’ll want to keep coming back. Elder Foo: The songs we sing are important! You can’t just translate lyrics from other languages. We had to get a lot of our songs from Hong Kong – you know straightaway it sounds more natural. Every dialect has its own special characteristics. Many in our Cantonese service can choose to speak in Mandarin or other dialects. But there’s something about connecting in your heart language. 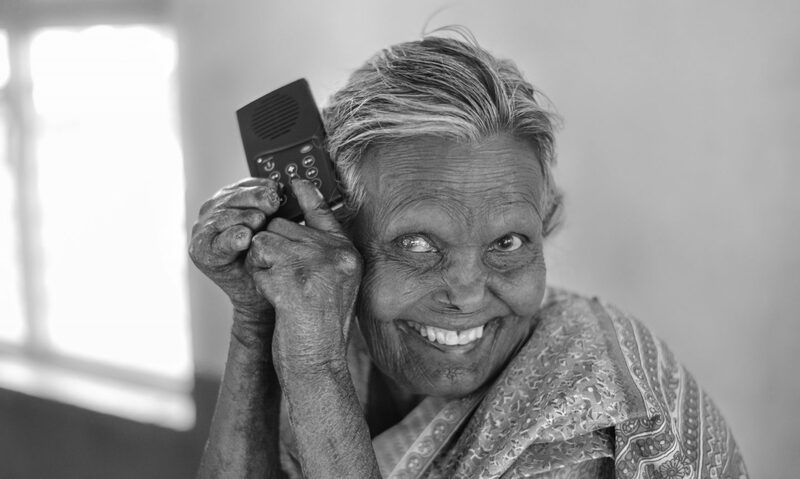 Do only elderly people attend your dialect services? Elder Phua: Many churches equate Hokkien services with elderly services. Not here! You can come and find 17 year olds, or those in their 20s and 30s, in our service. Maybe 65% are over 60 – a third are of working age. We have lecturers, high-level civil servants and professionals in our dialect services. Elderly grandparents bring their children, even their grandchildren. Given a choice, of course they’ll run to other services. So we try to give them a pleasant surprise when they come. You’ll be surprised, some who come, they’re totally English-educated. They attend services and small group with an English Bible. But they’re so happy and comfortable with the environment at Hokkien service. Word of mouth is important. Many are from other churches which don’t have a dialect service. 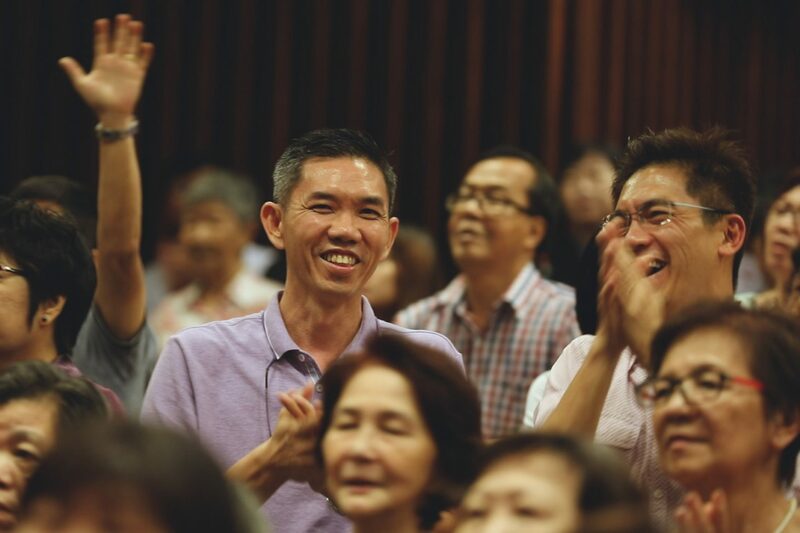 When they hear we have this vibrant service, they bring in their Hokkien-speaking friends to our church. Elder Foo: Our Cantonese congregation is older. More than 80% are above 60 years old. But there are younger ones in our midst. I have a 20-something member who learnt Cantonese just to evangelise to his grandpa. Another brought her parents here, and learnt the dialect along the way. As long as there’s a heart for their loved ones, they’ll understand it’s important. But this love for grandparents isn’t as strong any more. We do what we can to encourage them. Also, many of our musicians are young. Even one Myanmese! They come to help – but along the way they catch the passion. The COS Hokkien praise and worship team serving at one of their evangelistic services. How do you grow your ministry? Elder Foo: 关怀. Care. It’s very important for people at that age. We focus on evangelism. We spend a lot of money on migrant workers. Foreign workers don’t make much, so we have to rent buses, buy them food. We have a team of more than 10 very committed evangelists, mostly retirees or housewives. They go to Chinatown, Jalan Kukoh, Hougang. They go from door to door knocking on doors, asking how they can help, praying for them, telling people the Gospel, inviting them to come. So most of our congregation are new believers, and most are lower income. Our congregation is also older, so there are more needs. Our small groups are mostly held during daytime, because of age. Our volunteers and one full-time staff go for these small groups, which usually involve about 20 people meeting at elderly corners and void decks. There they worship and share their testimonies. People walk past, kaypoh and eavesdrop, and some even join in and come to church. Elder Phua: 传福音. Evangelism. We always pray for the unsaved, for family members. Every year we pray for 4,000 unsaved people. Our members all care for the salvation of their loved ones. We try to remove every obstacle to the elderly coming to cell group. Follow-up (of those who visit) is very important. It’s best for loved ones to do it, not full-time staff, because of the relationship they have with their own relatives and friends. So a big key is our small groups. When your service is big, the 关系 (relationships) between people can be distant. But in a small group, the bonding is stronger. So this is the best place to disciple people, be it on their personal devotion life, their service, or evangelism. Yes, at their age, some have problems attending their small group. Some of their children may not allow them to go. Or they’ve got poor eyesight and can’t take public transport. So we try to remove every obstacle to their coming to cell group. We conduct cell groups at various times – Saturday mornings, weekday mornings, just after service. Or at night. We try to have them near their homes, so there’s no need to take a bus. People from all age groups visit their dialect services. What part can the next generation play in dialect ministry? Elder Phua: I would say to younger Christians: Other ministries already have so many people serving. Why not go for your church dialect service and pray for God to give you the passion or burden? Don’t worry about the language – that can be learnt! A succession plan that goes down the generations is important, too. In most churches, Sunday school and youth ministry are all conducted in English. Of course younger members will end up going to your English service, maybe Mandarin. Who would go to a Hokkien or Cantonese service? So each dialect service must have your own succession plan. You can’t count on them graduating into your service. Elder Foo: Many say dialect ministries are “sunset ministries”. 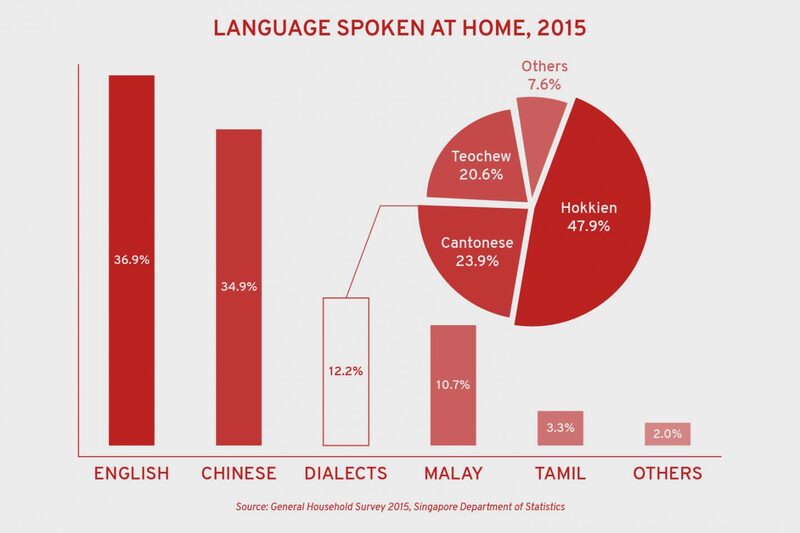 But in Singapore, there are many who do speak it, but they’re forgotten. No one is telling them the Gospel. Let’s say you take a taxi, ask them if they’ve heard Jesus. Many haven’t. 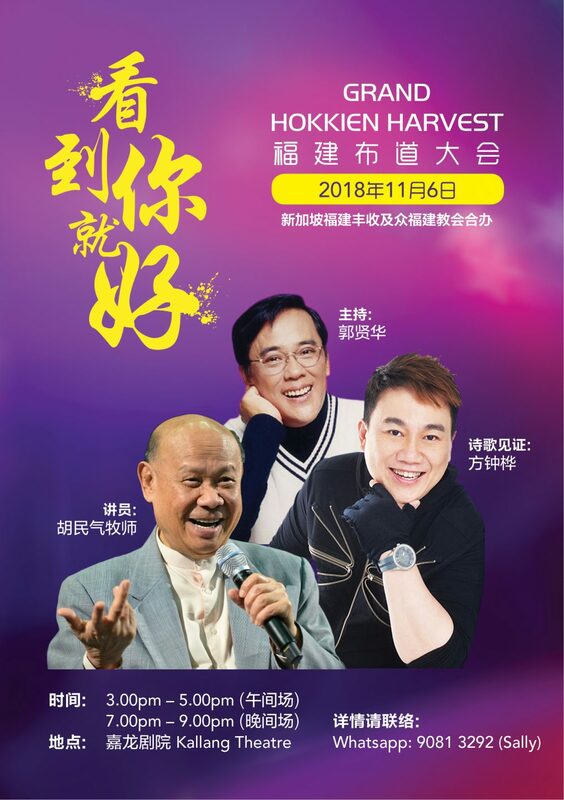 Hokkien Harvest (Singapore) and other Hokkien churches in Singapore will host the Grand Hokkien Harvest on November 6 2018 at Kallang Theatre. Visit http://ghh2018.wasap.my/ or WhatsApp +65 9081 3292 for more details.